There is a certain magic to animation that allows filmmakers to bring our imagination to life. Even live action films depend on these techniques through CGI and other means to help us visualize fantastical versions of our own reality. This outlook drives Tomm Moore, one of the filmmakers behind The Secret of Kells (2009) and Song of the Sea (2014). After starting his Kilkenny-based studio Cartoon Saloon in 1999, his team went on to create the popular children’s animated series, Skunk Fu! along with several short films. 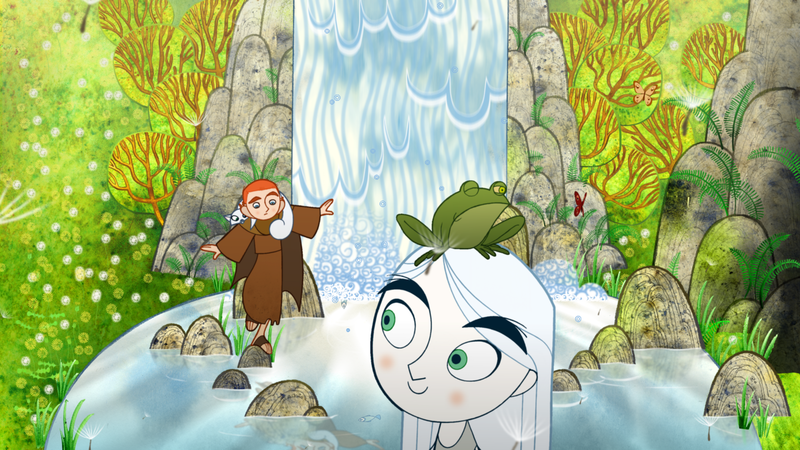 It wasn’t until 2009 that Moore made a splash in the international game with The Secret of Kells (co-directed with Nora Twomey), a hand-drawn animated film that earned multiple award nominations (including an Oscar nod for Best Animated Feature) and several wins. 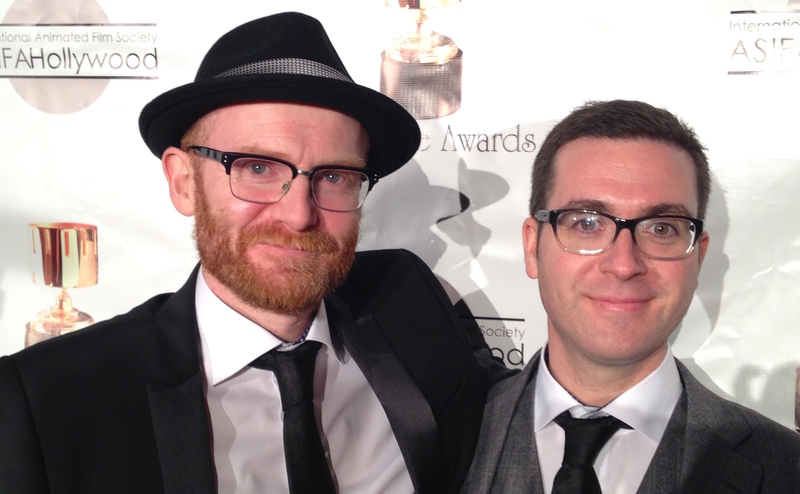 Moore’s back with a new feature, demonstrating that he and Cartoon Saloon were here to stay. 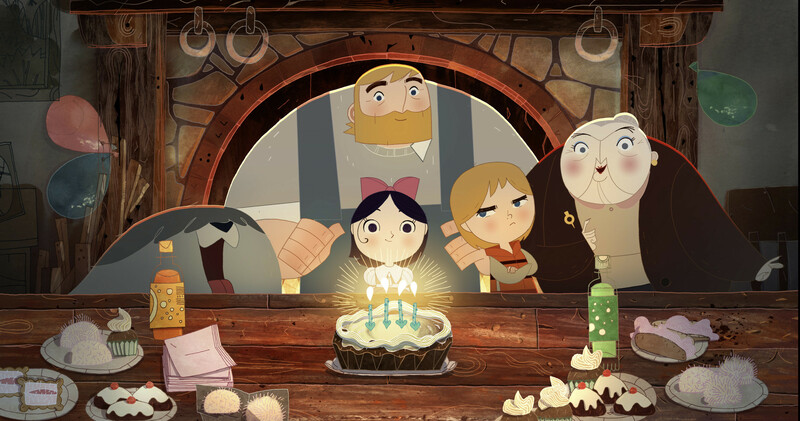 Song of the Sea has released to critical acclaim, earning the Irish artist his second nomination at the Academy Awards. I saw an early screening of his latest film before sitting down with the writer/director for an interview where we discuss everything from the place of traditional animation in a technological world to Moore’s future plans at the studio. Hi, Tomm – I’m glad we were able to connect! Hello! … I’ve just had a crazy day here. I’m about to go on Irish TV later. The Irish institution – chat show – The Late Late Show. All our mammys watched it when we were young so there’s a lot of excitement about that. I can imagine. Is this because of the nomination? Yeah. I guess the second nomination is a bit more news. We didn’t get on it the last time. I was excited to see that you guys got that second nomination. Yes – it was crazy for us as well. You were nominated in 2009 for The Secret of Kells – which, by the way… Of all the years to get nominated and not win, that was as good as any. You had some incredible competition. But it was amazing as well to meet those people. I remember meeting Henry Selick [Coraline] and Pete Docter [Up]. I even got a lovely email there from Pete Docter congratulating me this morning and he said he really liked the movie and all, too. So that was lovely. That’s great! So how did that first nomination influence the direction that you took your filmmaking moving forward? Was it a motivator? The only real lasting thing was that it was like a pat on the back from the Academy for going the independent route and kind of galvanized me to go ahead and try and make more films like that. It was a way of them saying, “We want to see more of this.” Prior that, I suppose, it’d always been in the back of my mind that at some point I’d go and get a real job, you know? Do you think the international stage – America and elsewhere – is set up to support independent filmmaking and animation? Yeah, it’s challenging. We’ve got fantastic support here in Europe. I have to admit it’s amazing how we’re able to do these co-productions. It’s never easy and getting harder because obviously economic tough time means there’s cutbacks in arts funding and things like that. Finding an audience and finding a way to monetize that audience are almost two different things. Like, I’m really delighted by the amount of support that Kells has – especially online. They’re really – they’re a community of superfans. Every day on Twitter I see more people tweeting about it who’ve discovered it on Netflix or whatever. It continues to have a life, which is what you hope for when you make a film. On the other hand, it will be fantastic to get to a point – and I’m not sure how that’s gonna be – that we can make these films and not be reliant on government funding or grants or things like that. And actually being able to make money commercially? Cracking that nut is going to be tougher, I think. So we’re just grateful for the Irish Film Board and organizations like that who’ve been supportive. So that begs a question. You co-founded this studio – Cartoon Saloon. Both of your films have been Ireland-centric in different ways. Is this the result of a decision that impacts your funding at all? And is it important for you to preserve this traditional folklore for future generations? Yeah. As an animator and an artist, I would like to have a different voice and not be a copycat of what’s going on in America or in Japan or any of the main powerhouses of animation. I think it’s interesting to offer something different. One of the things I like about, say, [Hayao] Miyazaki’s stuff is the stories are universal. You can watch them without knowing anything about Japanese culture. But there’s a richness – the more you know about Japanese culture, the more Miyazaki’s movies open up to you. Particularly things like Spirited Away and [My Neighbor] Totoro. That sort of thing was the inspiration. If we were making independent features and we were making them here in Ireland, we would want them to be inspired by where they were coming from. On the other hand, it does make it a little challenging co-producing because an awful lot of European co-productions often end up what we call “Euro-soup.” They try to be from nowhere so they can qualify for funding everywhere, you know? Whereas we’ve been fighting a tougher path to have something so idiosyncratically Irish and yet we also have to prove that it’s universal enough that it makes sense for Danish company, a Belgian company, a French company to get involved. 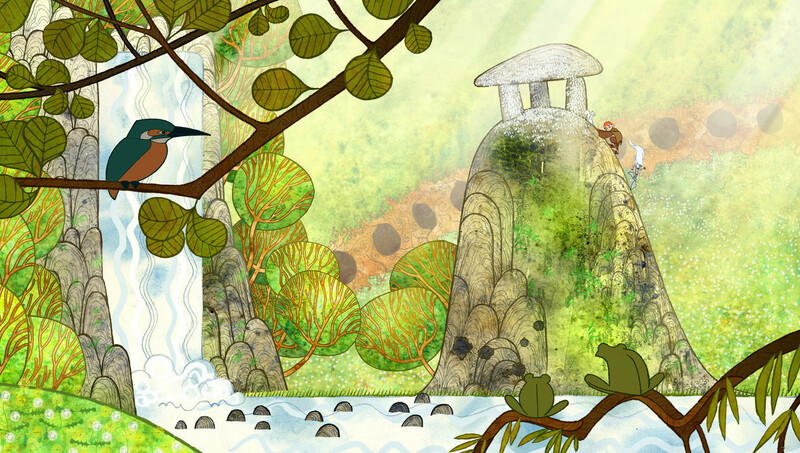 Where does Ireland fit in to the tapestry of international animation? Right now only Irish short filmmakers really have a very unique voice. I mean, there’s some gorgeous Irish TV shows being made, but generally there’s a lot of animation happening in the country thanks to a lot of different incentives, but an awful lot of that is work for hire for bigger companies like Disney stuff. We don’t do an awful lot of that [at Cartoon Saloon], but some of the companies like Brown Bag [Films] and Boulder [Media] and stuff in Dublin do make very good animation, but it’s animation for other markets. Whereas the Irish animation scene – the kind of, let’s say, more artistic stuff – is in its infancy, I think. I’d be really curious to see what another Irish animator does even with similar stories that I’m dealing with, because I don’t think it will be the same. I think everyone is going to have their own voice and their own take on it. I’m not saying we’re definitive – it just seems we’re the first out of the gate. (Laughs.) Yeah, I think a lot of Irish animation has been invisible in that we did a lot of animation here in Ireland, even in the 80s. Don Bluth had a studio here. But it was all stuff that could have been produced in America, let’s say. So it didn’t really stand out, whereas having our own voice makes us stand out. It seems like your films often juxtapose Celtic and Irish mythology against other topics (Christianity in Kells and modern life in Sea). What interests you so much about these comparisons? I think they’re both related in the sense that there’s always been this kind of… Ireland’s always been a bit of a traffic island, you know? Everything sort of crisscrossing through it culture-wise. We’ve still managed to maintain our own culture, but it always took and borrowed from other things. You know, Christianity lived alongside paganism for a long time here. I think that even today there’s a little remnants of paganism in a lingering belief system. There’s a superstitious folkloric belief system that more or less has been dying out the last 20 years. But it persisted for a long time. I find that interesting. It’s a different way of being in the world. It’s a somewhat twilight kind of way of being in the world. Being able to have an almost spiritual way of being in the world where you see things totally – not just the hard reality of modernism, but also like to the past with the folklore. Many countries are concerned with maintaining their traditional beliefs. Is that aspect of your filmmaking rooted in your Irish background? That’s – there’s stuff in those stories that are true for every age and every generation. You’re sort of part of a chain and so the modern way of telling stories to kids and particularly family audiences is animation. So it’s a good opportunity to keep those stories alive. And do our take on them, you know? It’s our twist, it’s our take. Every storyteller retells the story for the audience they’re talking to so they’re not being preserved or written down or trapped in amber or fossilized. They’re just alive as long as they’re being retold and reimagined. Speaking of kids, the aesthetic of your movies really sticks out. Ross Stewart handled the art direction in Kells, and Adrien Merigeau in Sea. The former was clearly inspired by the Book of Kells itself, but this movie – while different – maintains a certain storybook look to it. Is that intentional? Yeah. I mean, there’s a continuity of aesthetic. Adrien was one of the main background artists on Secret of Kells. When I asked Adrien to be the art director, I’d been painting more myself, doing more watercolors. Adrien’s an amazing watercolor artist and he has an amazing ability to capture atmosphere. So what we tried to do that was different than Secret of Kells… We we were continuing on with the style, but as we developed the style we tried to go a little bit away from that geometry and stained glass kind of feel that we had in Secret of Kells and more towards a sort of atmospheric effect. Using watercolors to get that aerial perspective like landscape painters, like Paul Henry, who was a contemporary of [W.B.] Yeats and all those Celtic revivalists. He used to do these wonderful watercolors, or paintings of Ireland and Irish landscapes, where everything was kind of hazy. There was a kind of heavy dampness in the air. Water particles would create this distance – not with perspective, linearly, but aerial perspective. It’s kind of got this mystical feel. It’s foggy like that. So we wanted to get that in, get that sort of dampness in. But one of the things that we noticed when we looked at these old rock carvings – these Pictish carvings and ogham stones around the country – Adrien thought they reminded him of modern art like [Paul] Klee and [Wassily] Kladinsky. And I thought that was really off-the-wall; it was the last thing I expected. I was looking at them from the point of view that I learnt about them in history. He just saw them as patterns carved in rocks. He kind of made it his own that way. So it really ended up with a nice mash-up style; we brought a lot of Adrien’s personal style in, a lot of historical research and then my own approach to composition. We kind of found a style that way. What’s interesting about that is the images in these movies are flat, but there’s also a depth to them – a lot like a painting. Both films like a moving book, you know? Illustrative, yeah. That’s what we wanted to see. I mean, Secret of Kells is obviously trying to look like a manuscript. We did things like triptychs and text on the screen and sacred borders and stuff. 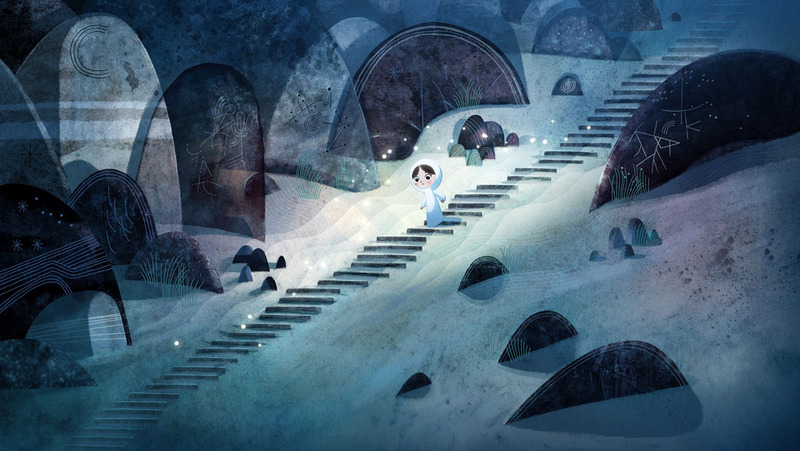 With Song of the Sea, it was trying to be a very immersive storybook because it just felt like the type of fairytale story that would suit that kind of feeling, that style. It’s generally softer than Secret of Kells, and that was what we went for. Is there something hand-drawn 2D art brings to the table that you prefer over computer animation? I think hand-drawn has a lot still to do. I think it’s a medium that hasn’t really been fully used because for a long time, people working in hand-drawn were so influenced by Disney [that] they just copied Disney. And Disney’s look was limited by the technology of the time where they had to paint cels and layer the backgrounds and shoot them with a camera. You can only put so many cels underneath. You could only paint the characters flat. You can make films with much smaller teams, much more specialized rather than having this huge factory of two hundred people painting cels. We can focus on the organic side of it and then move to the computer to help us with stuff like coloring the characters and things like that. I think that hand-drawn animation has an opportunity to reinvent itself and do whatever computer animation doesn’t really do well. And that’s basically did when photography came in. I think hand-drawn animation has huge potential that way. But just for me personally, I enjoy drawing. It’s the language that we’ve developed here in the studio – a certain visual language, a certain way of thinking. When we develop stories and films, especially the ones I’m going to direct, I think of something that’s going to take advantage of hand-drawn animation. Not to say that we wouldn’t try computer animation if it was the right story. I was hanging out with the guys who did Big Hero 6 the other night, and you know – that’s a movie that makes sense in CG. (Laughs.) Superheroes and sci-fi tech. It doesn’t need to be hand-drawn watercolor painted; it doesn’t make sense. Different stories for different mediums. You think these forms can coexist? Yeah. I hope – artistically, yes. What does the audience respond to, that’s another question. Will they respond to hand-drawn animation? I really hope they will. It’s tough. A few years ago, John Lasseter was talking about bringing back hand-drawn animation. He said that people were blaming hand-drawn animation for the movies not being good and said that was like saying the cameras were the problem rather than the people, or the story, or the actors. I thought that was a really good analogy. It kind of leaves us that are still practicing it very free, without a huge expectation on us to make super blockbusters. Maybe that’s better – I’m not sure. Maybe we’re going to be relegated to the kind of area that stop-motion, or maybe sand animation are. (Laughs.) And maybe that’s not such a bad thing. Well, there’s amazing stuff coming out of that realm. Even this year, we have The Boxtrolls from Laika, which was gorgeous. Ah. I mean, talk about having… Having Laika and Aardman showing us constantly that stop-motion and traditional technique has got so much more to it. Of all the techniques that I would have imagined would have been superseded by CG, I would have imagined stop motion would have been it. Because obviously CG has that 3D look that stop-motion does. I mean, look at the lineup at the Oscars this year. [The Tale of the] Princess Kaguya must be the most experimental animated feature I’ve ever seen nominated. It looks fantastic. It looks like pure sketch drawings. There are certain sequences that are breathtaking. There’s one where Kaguya takes off all her fancy clothes, and she basically becomes fabric in the air. For me, that’s really showing the potential of hand-drawn animation. It’s going much further than our films, even. It’s expressive. I’d love to go that way. I’d love to go further in that direction. Using the expressiveness of lines, you know? It’s the animators hand and if the character’s feeling stressed, the lines become stressed. And if the character is relaxed, the lines can become relaxed. That’s really something that hand-drawn animation can do and any other technique trying to emulate it would just be kind of faking it. (Laughs.) They did pretty good. I think they’re like gazillionaires. Oh, I think they’re doing fine! But they tried to imitate stop-motion. I thought it was pretty impressive. Me too. I thought Lego Movie looked great and had a fantastic twist. It was a gorgeous ode to creativity and childhood. It didn’t become a cynical commercial for toys. It was actually really, really clever and hugely successful and very enjoyable and catchy songs. I couldn’t say enough good things about it. I thought it was a great film. I’m actually really, really, really surprised it wasn’t nominated. I was, too! But it’s interesting that you feel like these techniques can co-exist. I think one of the worries is about kids, and that they’re so used to CGI that it’s hard for them to enjoy and respond to traditional animation. I think so. I think 2D films have to reinvent – they can’t look like they always did. They have to keep on reinventing themselves and be visually novel. Kids will always end up – no matter how tech-savvy they are – they’ll always be that magicness of having a blank sheet of paper and a pen and making a mark. It’s really primal. It goes back to cavemen. So when you see drawings that are alive and moving, I think there’s something mesmerizing… If you expose kids to 2D animation before they’ve had a chance to get cynical, you know? Young kids, yeah. They just enjoy them just as much as anything else. I really don’t think – I’m not really worried about that. People who do stop-motion talk a lot about how there’s a tactileness to the stop-motion. That’s true, as well, and kids really relate to that. But honestly I think 5-10 minutes maximum into a movie, you really shouldn’t be thinking about how it was made. You should be engaged in the story and the characters and the world. And if you haven’t managed to do that and the technique is still a problem after you’ve been watching the movie for awhile, you’ve failed in all the other important things like story and character and all that. They’re all necessary elements of a greater whole. I think the technique is hopefully – I mean, I’m banking on it – the technique is a secondary issue as long as you’re filming a good film. Switching gears a bit, I know that you’ve worked with Brendan Gleeson now twice. He’s one of my favorite actors – a phenomenal performer. How has your partnership with him evolved over time? He doesn’t do a lot of voice work. No, no – but he has done some. I mean, Brendan’s one of the hardest working character actors in the business and he’s a big star in Ireland. We contacted him back when – God, it was around Gangs of New York – when we were first developing Secret of Kells and we were very naïve. I think we called the producer’s dad who was friends with someone who played the fiddle at Brendan’s – (Laughs.) It was really far out like that, you know? We managed to get in touch with him, and he was willing to support Secret of Kells. Then it took another four years to get the finance together. He still remembered four years later – it was amazing. He came and did a fantastic performance for that. And similarly, he’s done the Irish version of Kells, he’s done Song of the Sea in English and in Irish. He’s always been really supportive of us. He’s a really great guy that way. He’s always been a champion of the studio. He’s always really gotten behind what we’re doing and been really supportive, so it’s great! It’s just interesting to me because he’s an actor who has a very expressive face, and then to hear him voice act is such a different thing. (Laughs.) Yeah. It’s funny, I’ve never thought about that. I think we based Connor [in Song of the Sea] a lot more on Brendan’s physicality than before. But he’s a huge physical presence onscreen, it’s amazing. I agree, his character is a bit more similar to him in this one! Gleeson-esque! So your last film you co-directed with Nora Twomey. How has your experience changed working as the sole director on Sea? Um, I don’t know. I asked Nora to come on as co-director in Secret of Kells… I’d been carrying it for a long time. I’d originally been working with Aidan Harte, who did Skunk Fu! here, that TV series. And then I was sort of on my own for awhile on Secret of Kells and once it had really taken off, I knew I needed help because I’d never done anything on that scale before. I asked Nora for help. But for Song of the Sea, she was still massively involved, but only in the story side. She had to take care of other projects in the studio. She helped the voice directing, I mean – we’re partners in the studios together so I can ask her questions all the time, so I still felt super supported. But you know, Song of the Sea was so much more of a personal, super personal project for me that it made sense for me to direct it on my own. But I think the next thing I’m going to do I’m going to co-direct again with Ross Stewart who was the art director on Secret of Kells. We’re all friends, we all went to college together. It’s just about mixing up the roles in different ways. Right. It’s sometimes hard to put a title on what you’re doing. I mean, it wouldn’t have been fair to call Nora anything less than co-director on Secret of Kells because she was really with it all the way through, even if there was [sic] times when I had to take care of things on my own. Generally Nora was always, always part of it. It was very much her film, as well. For Song of the Sea, it was just a tacit understanding among us that it was kind of my project, my story and that I would carry it through. It just depends how the story evolves and the project evolves and what’s going on in the studio. You said you might co-direct in the future. Is there another project in the pipeline? Oh yeah, we’re writing it at the moment. But Nora’s directing the next film in the studio, her own. Breadwinner. It’s a fantastic project. She’s going to be adapting a book by Deborah Ellis called The Breadwinner. It’s about a little girl in Afghanistan who has to pretend to be a boy to provide for her family. It’s very different. It’s going to be interesting. A bit of a split from the Irish angle! Yeah. And the one I’m writing at the moment with Will Collins and Ross Stewart – we were just working on it today, actually – it’s back to folklore and that kind of thing. I think three is a nice number – I think I’ll do three. This kind of theme, this kind of style. It’ll make a nice thematic trilogy! What attracted you to the idea of selkies? It’s not a very common topic for fantasy stories. I mean, I kind of knew what selkies were. It was an encounter with some – I was in the west of Ireland on holiday with my son and we came across a seal that had been killed by fisherman. Talking to the local woman we were renting the cottage from, we kind of realized that this is something that was happening because the old ideas and beliefs were dying out and there was a connection between the people and the land and the animals and the environment because of folklore, you know? And because of those kind of beliefs in selkies and things like that. That was the kicking off point. On Secret of Kells I’d been reading a lot of fairytales and folklore that didn’t have any place in Secret of Kells, so this project sort of became a kind of a home for all of that. 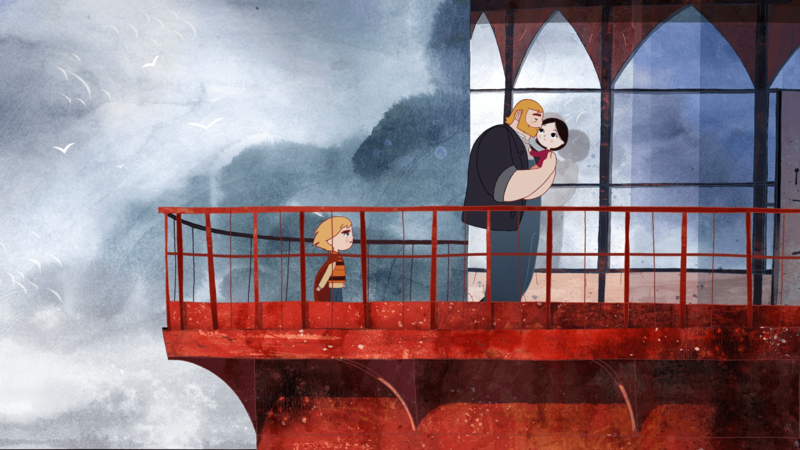 I started working on Song of the Sea during Secret of Kells. It’s important, I think, to change focus with these projects, to write the next one before the first one’s gone out because that way, they keep rolling and you don’t get stuck, not sure what you’re going to do next. It just rolled out of research on Secret of Kells, I guess. 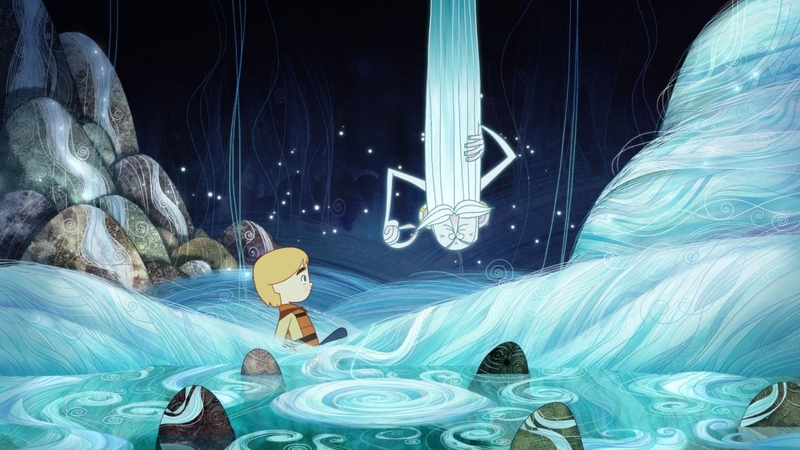 Is there an environmental angle to Song of the Sea? It started out [with] a much more environmental angle but it’s not really what it became. As [I] dug into the story and the more I read selkie stories, the more I realized that a lot of them really deal with loss. I think they were allegories for people who lived in these coastal towns and would often have lost someone to the sea. These stories were generally just that, fairytales that helped people deal with the loss, a release for speaking about that. I realized we could update that fairytale and that theme and it would be very universal, even for a modern audience. It’s interesting because the end of this film along with the way you cast the same actors for multiple characters in the film, it seems like you’ve almost got a Wizard of Oz thing going on. Was that meant to be a theme? That was the inspiration at one point. We kind of hit on the idea when the first draft which was so packed full of different folkloric references that it was kind of bloated. We had too many ideas in there. But we said, “What if all the folklore elements relate back to the family story?” And that’s going to mean the folklore is very much a mirror or an exaggerated version of the family. So we really had that situation where the grandmother and her insistence on putting emotions aside is very much mirrored by the emotion who puts her emotions in jars. Gleeson does a limited enough voice of the giant, but he voices the dad as well. And the different parallels work between the two that way. It seems like the movie in some ways we get the impression that maybe the story is a metaphor for the mother’s absence or death. That’s exactly what it was really from the start. And in the end, it kind of – we ended up changing it so that it was very much obvious that there was a magical element to it. But overall, I could imagine that the Ben character had heard all these stories from the mom and was kind of using those to make sense of what’s happened. And he has to grow up and let go of those stories and let them just be stories. And that’s symbolically what’s happening at the end, that he’s accepting “Mother is gone.” and saying goodbye to her properly and accepting his sister. And being able to be healthy and by that, healing the family. Is there an inherent value in using children as protagonists in these kinds of stories? I think you’re making movies primarily with children in mind, so it’s good to have children in it that they can relate to. Not always, I guess. But it makes sense. They become little avatars for kids to project themselves into. If they relate to the kids, and the kids seem real and genuine enough, not just cutesy or stock… I know from my own childhood and my own son growing up that the kind of latching on to the kid that they see themselves in. It’s a way to allow them to deal with stuff through this other kid’s adventures. It’s a fascinating phenomenon. Speaking of Miyazaki and Studio Ghibli, they often use children as a vehicle to tell these stories. Both there and with your movies, it brings a sense of innocence and learning to the story you wouldn’t necessarily get with an adult. I don’t think an adult would be believable going through the journey that Ben goes through, you know? It’s something that can really only happen when you’re that age, when imagination and reality are a bit more blurred. I don’t think you’d really buy it. It would seem preposterous for an adult to be carried through that adventure so easily or so credulously as Ben goes through it. He accepts this stuff pretty quickly. I agree. I think it was a great choice for both films. Really! 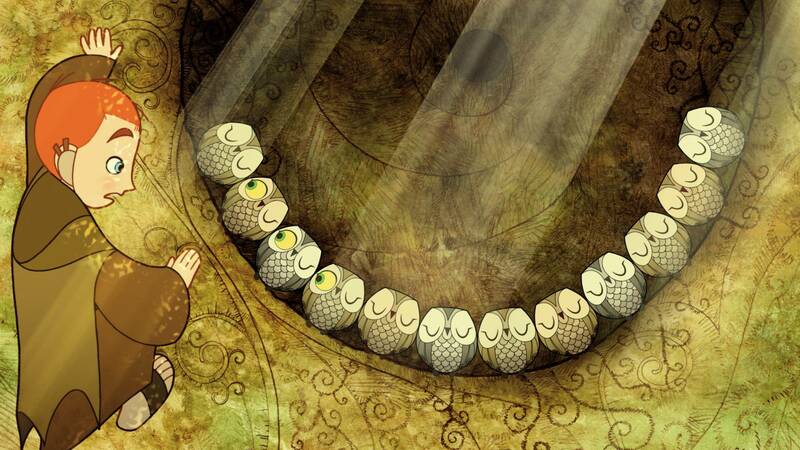 When I saw The Secret of Kells, I shared it with everyone. 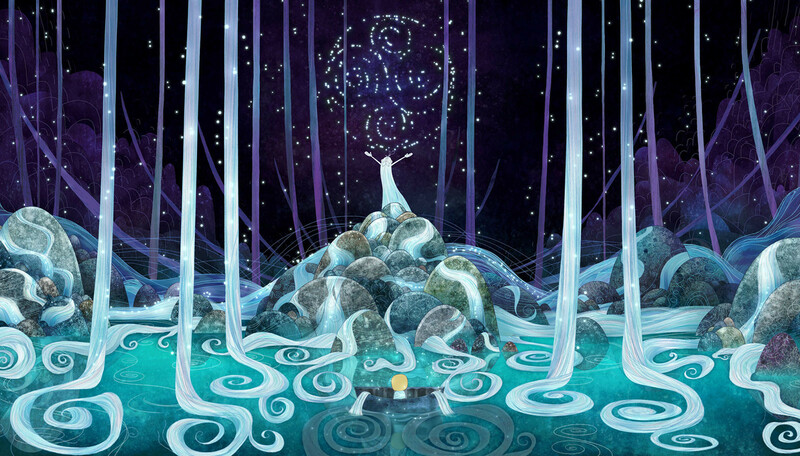 And then when the conceptual teaser for Song of the Sea came out I watched it 100 times. Oh wow. It’s people like you that we need. That’s the only hope we have – people like you spreading the word. You got it. Thank you so much for taking the time to speak with me! 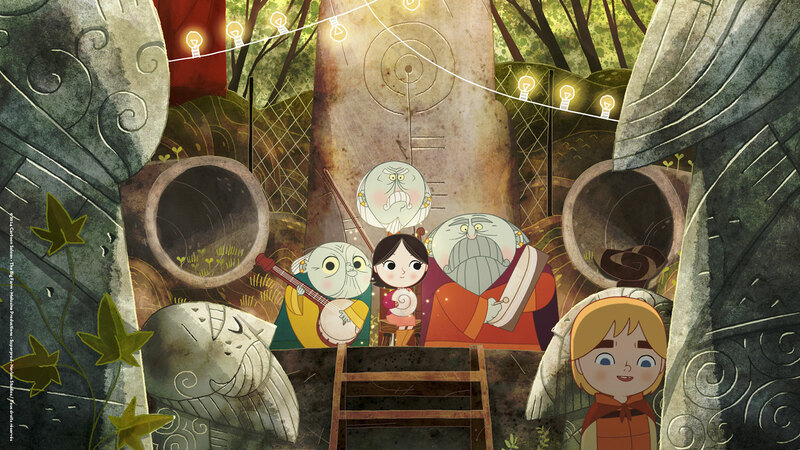 GKids is handling U.S. distribution of Song of the Sea. A full schedule for release dates can be found here. Oscar winners will be announced at the Academy Awards ceremony on February 22, 2015. Note: Please do not reprint this interview in any form without express permission of the author. Queries should be directed to moviefailreviews@gmail.com. It’s okay, we don’t bite.